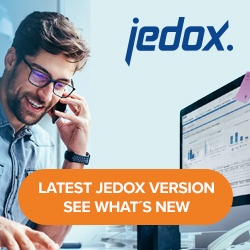 Jedox Web groups, folders, and files are administered in Jedox databases. fgrp stands for folder group, while rgrp stands for report group (which belongs to the component Reports). After creating new folder groups or report groups in Report Designer, new databases with the same name are created here, numbered sequentially (i.e. fgrp1, fgrp2… or rgrp1, rgrp2 etc.). The Public Files directory is a dimension of the ‘fgrp1’ database. Upon creating this dimension, the actual storage location for Jedox Web files is created under …\storage, with the subfolder ‘h1-Public+Files’. When a folder is created in Public Files, it becomes a consolidated element of the Public Files dimension and each workbook is a basic element of this dimension.